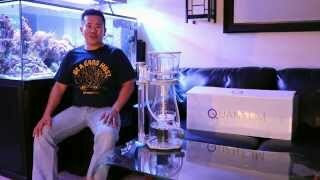 High performance skimmer for tanks up to 250 gallons (1000 liters). Great skimmer. I've been using it for 7 months and it does an awesome job. Worked perfectly straight out of the box. 0 issues with my 160, will definitely continue to use the nyos line for any future builds. pulls more skimmate than any other skimmer i've have before. It is quiet and games a lot of gross stuff out of the tank. 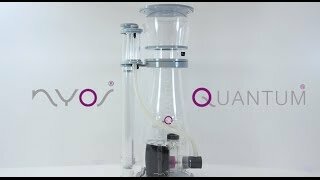 The Nyos Quantum 160 protein skimmer there's a really good product. It works really good and skins on a lot of stuff that is gross out of the tank and I am happy with this product. And is quiet there's no complaints that I have about this product.